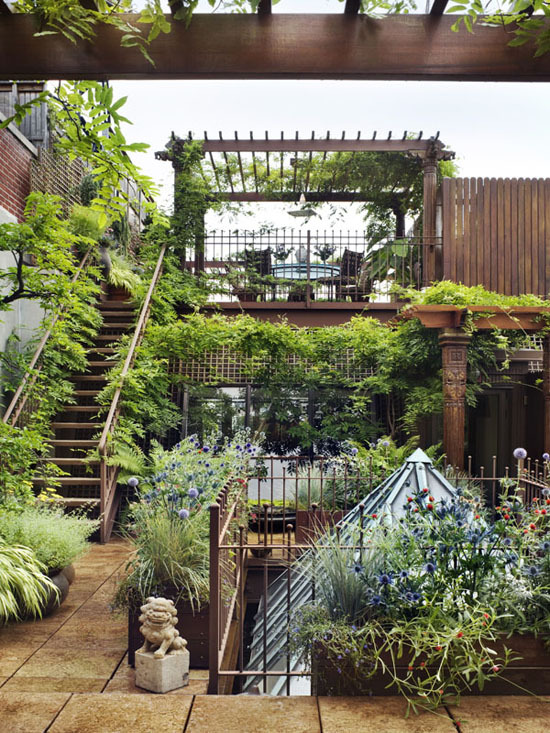 Just look at this extraordinary roof garden in NY! 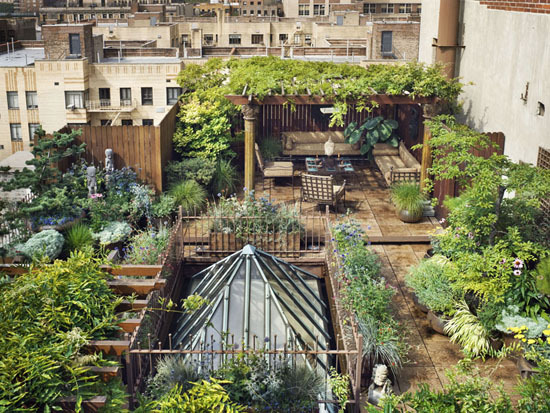 It's like a hidden garden, way high above ground, with an amazing view right on the heart of the city. How perfect is that? 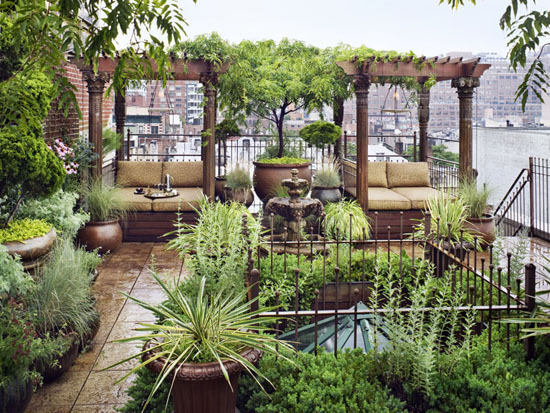 9 comments on "Roof garden spectacular"
I've seen this before and the inside of the home is just as awesome !! This is amazing...love the pergola!! Oh wow, I wouldn't ever want to leave if that was my garden! So many things going on but everything is so perfectly placed! Really amazing.